Do you know how many types of cryptocurrency wallets actually exist in the market? If you don’t, there are high chances that you won’t be able to choose a right wallet for yourself and as a result not able to store your crypto safely. If you don’t believe me, read BlackWallet Hacked: Warns Stellar Community Not to Log Into Site and Bitcoin, Jaxx Wallets Have Security Issues, Cheetah Mobile Warns. These articles tell you about the tales of cryptocurrency wallet hacks. Let us also accept the fact that “one’s cryptos are as safe as their wallets” and different types of wallets are to be used for different purposes at different times. Any type of wallet is simply a combination of your private key and public address. Based on how and where you store them, you can categorize your wallets in the following segments. Hardware wallets, as the name suggests, are hardware devices build specifically for handling private keys and public addresses. It is a USB-like device with an OLED screen and side buttons to navigate through the interface of the wallet and comes with its native desktop apps for different cryptocurrencies. It is a battery-less device which you can connect to a PC or mobile device via USB even on an infected device. Here is a video tutorial series by Harsh Agrawal on Ledger Nano S & Trezor. Also, check- The 3 Best Hardware Wallets For Bitcoin of 2019 ( + Altcoins Supported). And lastly, needless to say, they are the safest way to store your cryptocurrencies. Paper wallets are not for everyone because they are a tad bit technical and requires a high level of caution from the user. It is so because in a typical paper wallet you just print your private keys and public addresses on a piece of paper and start transferring your bitcoins or altcoins on it. Needless to say, as it keeps your private keys offline, it is another secure way of storing your cryptos but not all cryptocurrencies offer paper wallets. Still, for all the popular cryptocurrencies you will easily find paper wallets and can use them easily with caution. 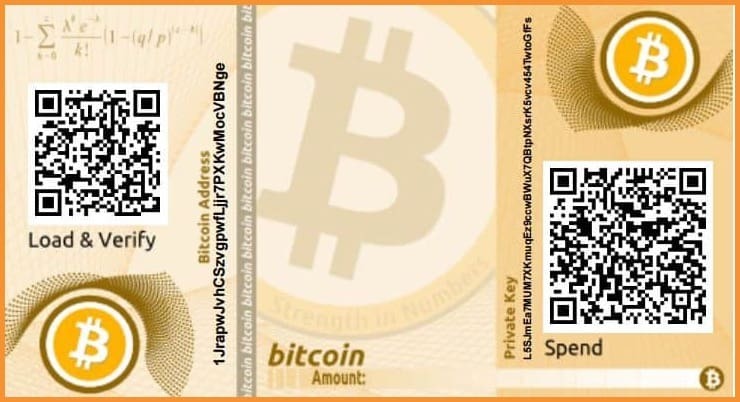 Read: How To Make A Bitcoin Paper Wallet & How To Spend Bitcoins. They are the second most secure way to store your cryptocurrencies. Desktop wallets for Bitcoins and cryptocurrencies are installable software packs that are available for most of the desktop operating systems such as Mac, Windows, Linux. But as it is your desktop or laptop that often connects to the internet, you need to follow the basic security measures such as antivirus and anti-malware software and a strong firewall. Currently, there are many desktop wallets available for Bitcoins and other popular cryptocurrencies that one should use instead of keeping their cryptos on exchanges. Desktop wallets are the third most secure way to store your cryptocurrencies. Mobile wallets for Bitcoins and altcoins are the most used wallets right now on the market and it is so because they are mobile-based and also easy to use. For popular cryptocurrencies, you will find mobile wallets compatible with both Android and iOS and for less popular ones you can expect a decent Android version atleast. Mobile wallets are the fourth most secure way to store your cryptocurrencies because they are always connected to the internet (hot wallets) and can be flawed by its development community itself. Web wallets are hot wallets that are always connected to the internet and can be accessed via different internet browsers such as Google Chrome, Firefox, and IE etc by going to URLs such as https://xyz.com. The private keys are held online in these kinds of wallets in your browser itself in some web wallets and they are also prone to DDOS attacks. Web wallets are sometimes hosted wallets and sometimes non-hosted too, depending on what type of wallet you are using. However, we always recommend you to use “non-hosted wallets” so that you can control your funds always. They are the least secure type of wallets if you are using a hosted wallet because they are safe as long as they are not getting hacked or DDOSed. What’s your Crypto wallet type? I have deliberately listed down the different types of crypto wallets in an order moving from safest to less secure types of wallets. But it doesn’t mean only safest wallet should be used. It means one needs to understand the strengths and weaknesses of each type of wallet and use it accordingly. Also read- Security Risks of Mobile, Web & Desktop Bitcoin Wallets [Must Know]. So go ahead and enjoy this post and let me know your thoughts in the comment section below. Also, do share which type of wallet do you use the most and why. I really appreciate the information you provide for your followers. I was wondering if there was any way that you can cover how taxes work, (if you haven’t done this already). Im still a rookie at all this and I am learning quickly through you. 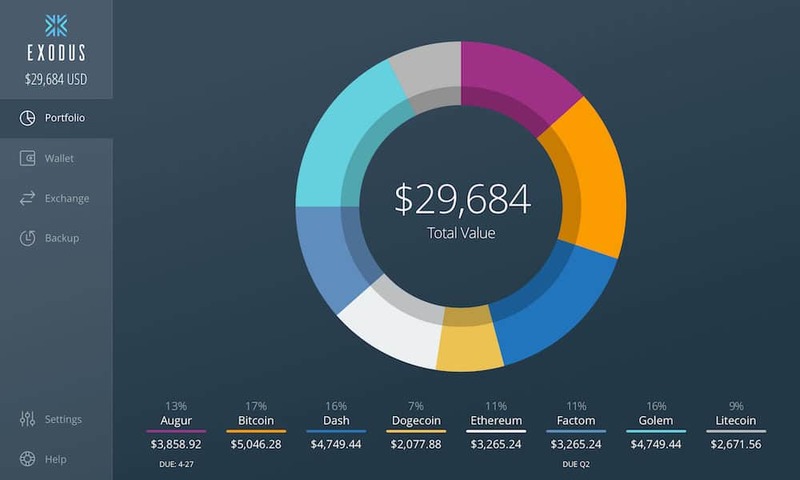 So im based out of the U.S. and was wondering how we tax here when it comes to Cryptocurrency. Do we get taxed by Per trade, or only when it come to withdrawing from lets say coinable. And I was wondering if there was any way of avoiding the taxes, not to say I wouldn’t pay because I always want to do the right thing by obeying the laws of the land but it would be good to know alternatives. Some people I speak to are strictly against the government so they believe this is the reason why this all should be decentralized. I apologize my friend, I know this could be many different subjects. Great Job! Love you guys! Keep up the great work, God Bless! Appreciate your comment but you need to consult someone in the US to find out the Tax liabilities not having a clear picture of it, I can tell you about India and give an idea about others but not exactly as I am not a taxpayer there.